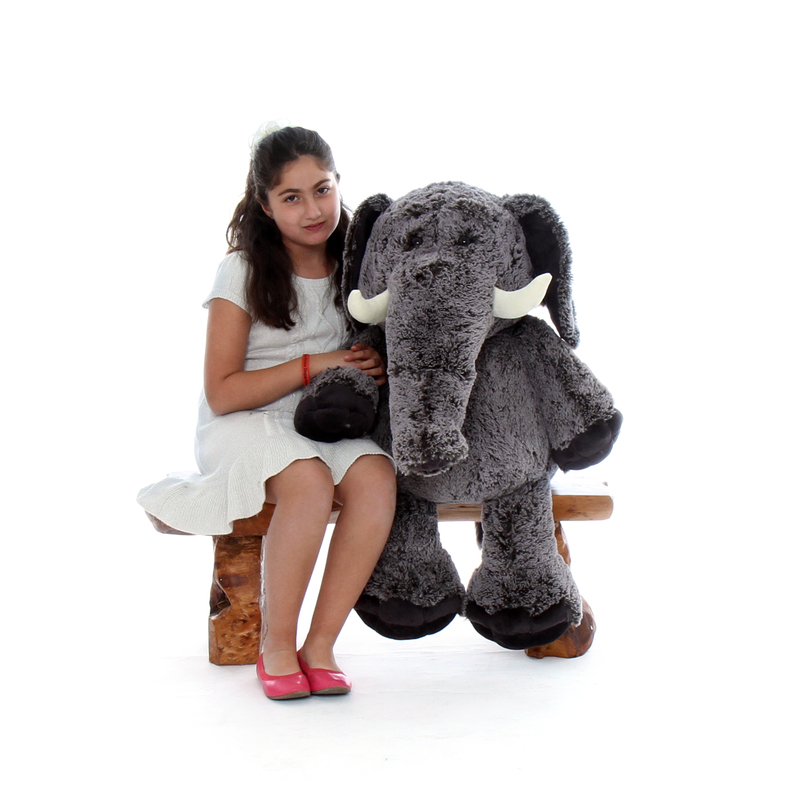 Elvis Elephant is kind of a rock star, and he’s going to make someone special in your life fall in love instantly, on Valentine’s Day or anytime! Elvis is the huge 36in elephant in our herd and includes a red heart pillow. Each Giant Teddy bear is made of high quality plush fabric and passes all U.S. safety standards. Every Giant Teddy bear is guaranteed for 6 months, from the purchase date, against defects in material and workmanship. The accessories and props, including clocks, chairs, and heart pillows, pictured alongside this item MAY NOT BE INCLUDED; they are shown for size and proportion comparison only. See product description for accessories, if any, included with this item.